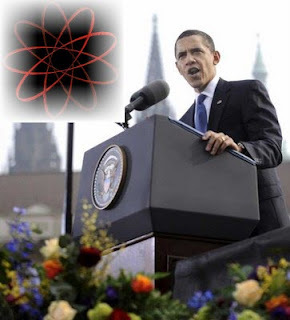 The April 10th, 2009 blog entry 'More disarmament' evaluated the good, the bad, and the 'ugly' of President Obama's Prague speech, and concluded: "... it remains to be seen how serious this effort really is, and how well it will be translated into concrete actions. The augurs in this regard may not be that good. As a speech, an 'A', otherwise mark this down as 'TBD.'" Given his recent request for a large budget increase spending on nuclear weapons, some are asking how this squares with his call for nuclear disarmament.... The Obama disarmament paradox says: "... how is the president's budget compatible with his disarmament vision? The answer is simple: There is no evidence that Obama has, or ever had, any such vision. He said nothing to that effect in Prague. There, he merely spoke of his commitment "to seek . . . a world without nuclear weapons," a vague aspiration and hardly a novel one at that level of abstraction. He said that in the meantime the United States "will maintain a safe, secure, and effective arsenal to deter any adversary, and guarantee that defense to our allies..."